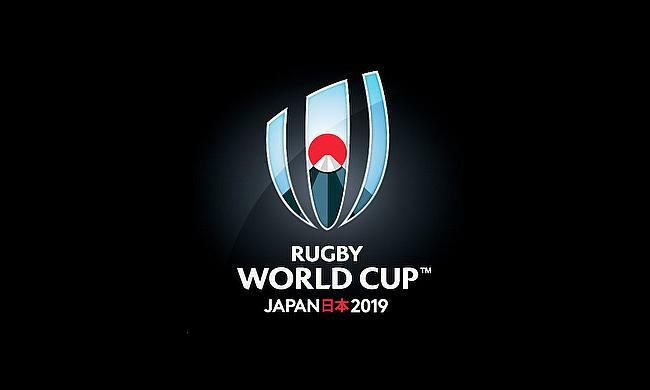 It may feel like the latest Rugby World Cup cycle is only just beginning, but already the prospect of seeding for the 2019 edition of the tournament looms ominously on the horizon. The nations who finished in the top three of their pools at the 2015 RWC all qualify automatically for the event, with the 1st, 2nd and 3rd seeds all decided by the respective world rankings of those 12 teams. If the pool draw for the 2019 RWC were to take place today, New Zealand, England, Australia and South Africa would make up the top seeds and all avoid each other in the group stages. Wales, Ireland, Argentina and France would be the number two seeds, leaving Scotland, Georgia, hosts Japan and Italy as the other seeded teams. Once the calculations are done for this past weekend’s raft of matches, Argentina and Scotland should swap seeding tiers. The boundaries between the seeding blocks are very small, however, and there are a number of teams for whom the onus must be completely to win-now and attempt to avoid depositing themselves into a ‘Pool of Death’. The All Blacks have a top seed wrapped up already and barring an extremely disappointing autumn and 2017 Six Nations, England should join them in that bracket. The gap between Australia and South Africa – currently 3rd and 4th in the rankings respectively – and Wales – the 5th ranked side – is anything but insurmountable. Ireland, Scotland, Argentina and France are all hot on Wales’ heels but also have to be wary of slipping into that third tier of qualifiers. One from this group will almost certainly end up in that third tier and will then face an unenviable mountain to climb in the group stages. Georgia, Japan and Italy are all far enough off that it’s extremely unlikely they bridge the gap to the tier of 2nd seeds and are locked in, realistically if not mathematically, as third seeds. If one of the Wallabies or Springboks were to come unstuck on their European tour this autumn, Wales were to prosper and Argentina, for example, struggled, a RWC group of the All Blacks, Springboks and Pumas is very conceivable. Likewise, if France were to slip up over the next four months, they could become a 3rd seed and end up in a pool with England and Australia, creating an equally ominous group. Honestly, the permutations are endless and nothing but prognosticating at the moment, but the pressure on teams is growing as they jockey for position ahead of the pool draw in May. South Africa reverted to type with their selections for their win over Australia recently, prioritising victory over development and with the threat of ending up in a RWC pool with New Zealand on the cards should they fall to 5th in the world rankings, it’s understandable. It’s always easier to develop and build from a winning base of course but at the beginning of cycles there is a grace period to experiment and attempt to revitalise, but that period is swiftly coming to an end. A shaky Australian side have headed north to take on Wales, France and Ireland, all of whom will have an eye on unseating the Wallabies from their place among the top seeds, as well as Scotland and England, the former of whom is desperate to move up the rankings and the latter of whom recently whitewashed the Wallabies in Australia. That’s five away games for Michael Cheika and his men to contend with and they are the last opportunities the Wallabies will have to affect their rankings before the draw. If Wales and Ireland can turn the tables on Australia in Cardiff and Dublin respectively, they will have a good chance of leapfrogging them for RWC seeding, too. The Springboks have just three tests, taking on England, Italy and Wales, as well as the Barbarians. Just as with Australia, Wales will know that their clash with South Africa means more than just one result. Both Wales and Ireland may find themselves in the odd position of cheering on England this autumn as their bitterest rival could be the key to securing them a top seeding for the RWC. England face both South Africa and Australia and are in good form, more than capable of winning both matches. Of course, if the Springboks or Wallabies were to drop into the second bracket of qualifiers, they would be teams that the top seeds would want to avoid but as stands, both New Zealand and England look the more formidable prospects and securing seeding alongside them will be high on the agendas of Wales and Ireland. A lot can change in the three years between now and the next Rugby World Cup but it’s safe to say that avoiding New Zealand will be as sage a strategy in 2019 as it is in 2016.